An international study, released today in Warsaw, shows that scaling up proven Nordic climate solutions in Poland would reduce greenhouse gas emissions significantly, helping the country meet its EU and Paris Agreement commitments. At the same time, the solutions would provide many other benefits such as improving energy independence and providing jobs in different regions. The Nordic Green to Scale study analysed scaling up ten Nordic climate solutions ranging from wind power to electric vehicles and energy efficiency in buildings. These solutions could reduce greenhouse gas emissions in Poland altogether by 71 million tonnes in 2030. 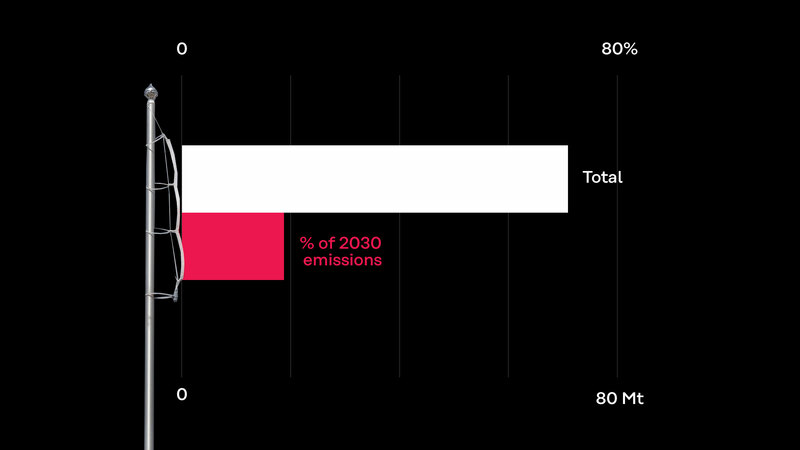 The reduction would be larger than the total emissions of Austria today. The study also analysed the costs, savings and co-benefits of applying these solutions. While some solutions come at a net cost, some would provide significant net savings, making investing in them economically profitable. In addition, the study looked at the circumstances for implementing the solutions specific to Poland. “The study shows that there is a large potential to reduce emissions in Poland by simply scaling up existing, proven and attractive climate solutions – and only to the extent that some countries have done already. Implementing these solutions would provide many benefits to the Polish society, including cutting harmful air pollution in cities and reducing dependence on energy imports”, comments Senior Advisor Oras Tynkkynen from the Finnish Innovation Fund Sitra. “Improving energy efficiency and scaling up renewables in all key sectors is crucial for meeting both climate targets and broader socio-economic development goals. While the technologies exist and are already well-proven, achieving their full potential in Poland requires ambitious policy framework and predictable regulations on the domestic level”, observes Maciej Bukowski, President of the Management Board at WiseEuropa. The study Nordic Green to Scale for countries – Unlocking the potential of climate solutions in the Baltics, Poland and Ukraine was financed by the Nordic Council of Ministers and co-ordinated by Sitra. The Stockholm Environment Institute Tallinn Centre carried out the analysis. The results were released today for the first time in Poland in a high-profile seminar in Warsaw. Speakers included Paweł Różycki, Deputy Director of the Department of Air and Climate Protection in the Ministry of Environment, Monika Morawiecka, Head of Strategy at PGE, Maciej Bukowski, President of the Management Board at WiseEuropa, and Oras Tynkkynen, Senior Advisor at the Finnish Innovation Fund Sitra. The Ambassador of Finland Mr Juha Ottman opened the event, which was organised by WiseEuropa and Sitra with support from the Finnish Embassy.